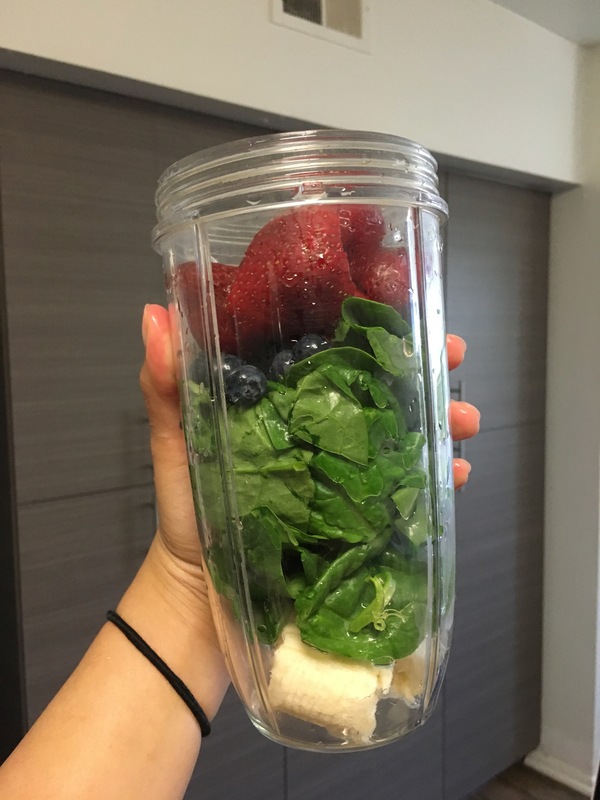 Sometimes it’s hard finding an easy smoothie recipe that you can just throw together to get your daily fruits and vegetables in. Well look no further because I’ve got a simple recipe for you! – Overall, they are all high in fiber and good for you! The only thing you’ll need besides the ingredients is a blender of your choice! I am aware the recipe in the gif is a different recipe from the ingredients below! Remember to be careful when adding more than the recommended amount of fruit into your smoothies. Although fruit is healthy for you, you don’t want to overdo the sugar since these fruits have natural sugars in them as well. Enjoy!